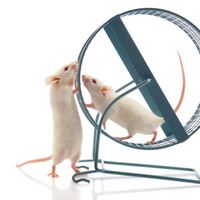 Newly formed neurons in the adult mouse brain oversprout and get cut back. 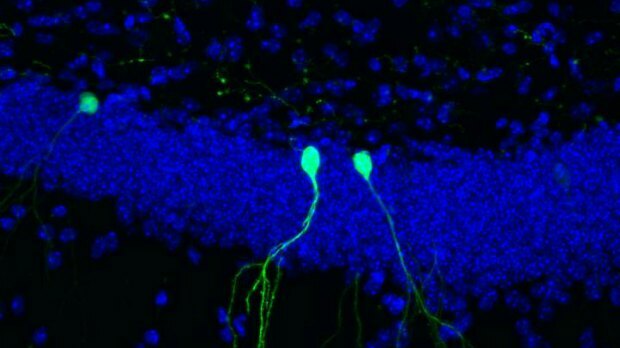 Newly born neurons in the dentate gyrus of the mouse brain labeled with green fluorescent proteinSALK INSTITUTESimilar to the neural growth and subsequent trimming that happens during development, adult-born brain cells in mice sprout extra branches that are later trimmed back. 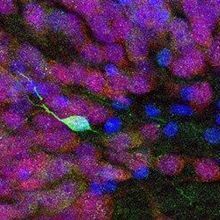 Rusty Gage of the Salk Institute for Biological Studies and colleagues watched as cells in the dentate gyrus of adult mice sent out dendritic processes, only to have them pruned back days later. The team’s results were published today (May 2) in Nature Neuroscience. 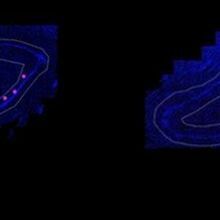 “What was really surprising was that the cells that initially grew faster and became bigger were pruned back so that, in the end, they resembled all the other cells,” study coauthor Tiago Gonçalves of the Salk Institute said in a press release. 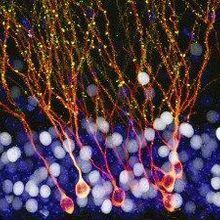 To track the baby neurons, the researchers labeled the cells with green fluorescent protein (GFP) and implanted a glass viewing platform in the brain. They checked in on the labeled cells over the course of several weeks. Three weeks after GFP labeling, the cells’ branching peaked, then dropped over the following week to reach a stable state. Although the cells of animals who were exposed to enriched environments produced more dendritic branches initially, they also experienced more pruning to end up looking similar to cells from mice kept in regular cages. “Our findings therefore suggest that dendritic pruning in developing DGCs [dentate granule cells] occurs in a homeostatic fashion, acting to counter excessive branching and contributing to defining a similar branch structure for all DGCs,” the authors wrote in their report.